Changes to the way Capital, Gold, Heart and Smooth are distributed via DAB digital radio in Yorkshire this month have been confirmed by Ofcom. From the 19th June 2015, Capital, Heart and Smooth will become available on local DAB on the South Yorkshire and Leeds multiplexes. Listeners in East Yorkshire and North Lincolnshire will find Capital, Smooth and Gold via the Humberside DAB multiplex from this date, according to details released by Ofcom. Affected listeners in Yorkshire and parts of Lincolnshire will need to retune and reset their presets from the 19th June 2015 to continue listening to the stations, as the existing frequency will be closed at the end of the month. All affected stations will continue to be broadcast in stereo. The changes are necessary following the 2013 decision to close the regional tier of DAB digital radio across most parts of the UK, partly in order to free frequencies for local DAB services. In Yorkshire, DAB digital radio stations are distributed via two national, one regional and four local DAB multiplexes. At the end of June, the regional DAB multiplex is closing, so stations carried on that multiplex are moving. A full overview of DAB digital radio changes around the country this June and July is available here. Are you an affected listener? The Humberside, Leeds and South Yorkshire multiplexes carry Viking, Radio Aire and Hallam on their respective services. So if you can receive any of these stations on DAB digital radio, then you'll be affected by the changes. 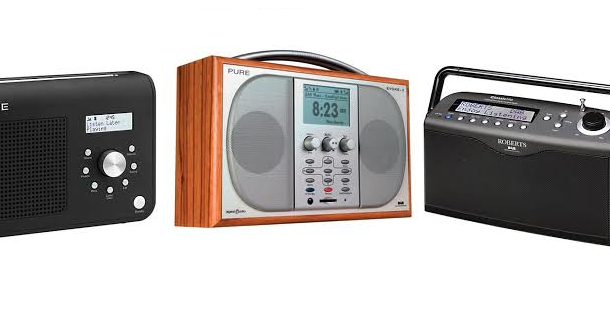 Simply retune/rescan your DAB digital radio after 19th June to continue listening to Capital, Heart and Smooth in West and South Yorkshire or Capital, Gold and Smooth in East Yorkshire/North Lincolnshire. DAB is a failed system no-one asked for and hardly anyone listens to; it’s costing a bomb to bring in new senders and still there are black spots neither FM nor AM suffers from. Even the BBC, who are pushed by the government to support DAB or loose part of the licence fee admit analogue broadcasting is better quality sound and generally easier to transmit, covers reception areas more reliably with far fewer senders and is, in all honestly, cheaper (based on actual audience figures - not notional) to broadcast than multiplexing at low bit rate resulting in anything from 'bubbling mud' to complete cut out. As for DAB 'brick' sets even car boot stalls can't sell ‘em. If the government, any government, were realistic they'd admit Digital Audio Bubbling mud was rejected by the radio listening public and the only truly practical portable radio system is analogue on FM (VHF) and AM (Short to Long Wave) . Personally I find DAB works much better than FM. You won't believe this. @a516digital I believe there is an error in what you posted here. The text says "Listeners in East Yorkshire and North Yorkshire will find Capital, Smooth and Gold via the Humberside DAB multiplex from this date, according to details released by Ofcom." I think you mean Listeners in East Yorkshire and North Lincolnshire. I believe the Belmont regional MUX on frequency 12A is to be replaced with local MUX on the same frequency, at some point. Yes Lincolnshire' s local DAB service will re-use the Yorkshire regional DAB frequency later this year. Hopefully we'll be hearing more about this soon. North Yorkshire is largely outside the analogue coverage area of Capital and Heart, so Global / Communicorp possibly won't be adding these stations to the North Yorkshire DAB ensemble. Similarly, Heart only covers South & West Yorkshire and isn't been added to the Humberside DAB ensemble. The situation for the Bradford & Huddersfield ensemble will be more interesting as this is within the analogue coverage area of both Capital & Heart.